In the Spring of 2011, I was invited to be part of a show entitled Clampdown: Labor, Management, and the Recession at the Zaller Gallery in Cleveland, OH. The show was curated by Greg Ruffing and Dave Desimone. For the show, I researched the history of labor and protest slogans. 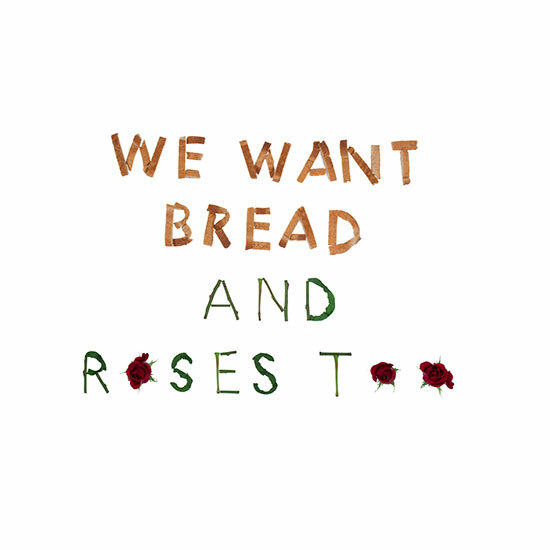 “We want bread and roses too” was used to appeal for fair wages and better conditions in 1912 in a textile strike in Lawrence, Massachusettes. 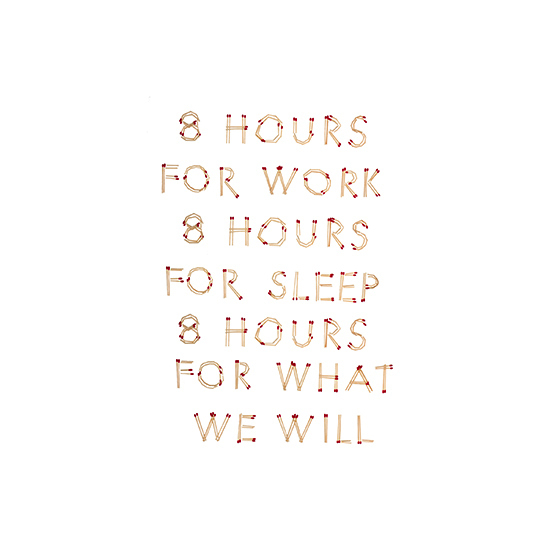 “8 Hours of work, 8 hours for sleep, 8 hours for what we will,” was used as part of the 40-hour week movement and was used in 1817 in England and later in other countries. 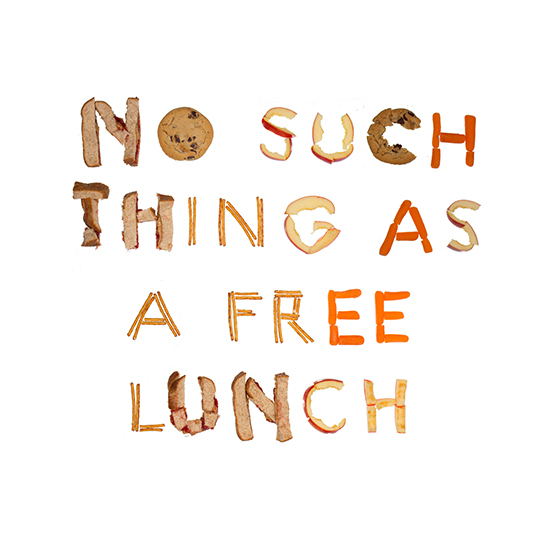 “No such thing as a free lunch” was used in the 1930’s and 40’s to describe that it is impossible to get something for nothing. 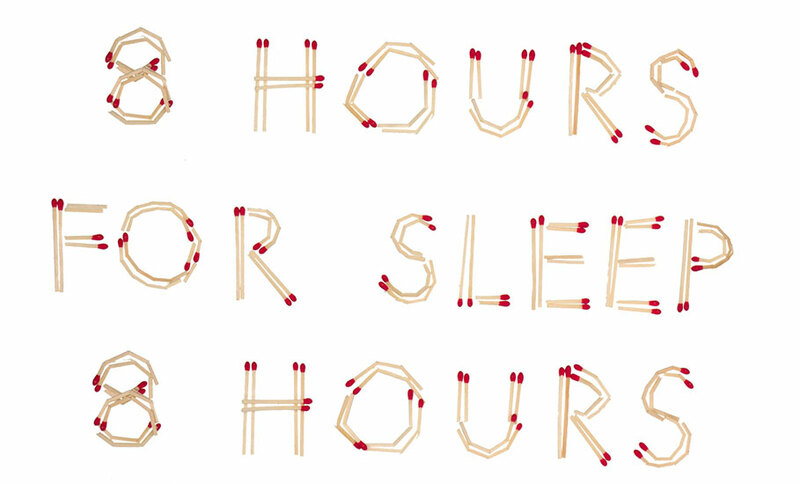 This slogan is often used in politics when talking about the economy and reforms.